It really feels like I was making new year’s resolutions just a few weeks ago, so my mind is completely blown that the 4th of July is almost upon us! I am all about celebrating holidays through food, so this year I wanted to create a patriotic fruit platter with a tasty pineapple fruit dip. And let me tell you, this is a crowd pleaser! Not only does it look gorgeous and quite appropriate for the 4th of July, but the pineapple fruit dip is amaaaazingly tasty. It whips up in less than 10 minutes and pairs perfectly with quartered strawberries and blueberries. While I was making my pineapple fruit dip today, my 1 year old son was hanging out in the kitchen with me. Once it was all whipped together, I put a small amount on the tip of a spoon and fed it to him. His expression was priceless! His eyes got real big, he smiled, and then tried to grab the spoon out of my hand. He loves this stuff! I tried to let him lick the whisk, but he kept trying to grab it from me, and… well… there was a bit of a mess to clean up. But a pineapple fruit dip coated baby just makes for a sweeter baby, right? Alright, here is how to make this tasty pineapple fruit dip. This is a 1-cup serving, which would be perfect for 4 people. Double, triple, or quadruple the recipe to meet your needs! Combine the heavy whipping cream with the granulated sugar, and whisk or beat until you have a whipped cream thick texture. In a food processor, blend the pineapple until cut into small pieces. In another bowl, beat together cream cheese, powdered sugar and pineapple. Beat until well mixed. Fold in whipped cream, and serve along with fruit of your choice. If you’re in the mood for some other 4th of July treats, I have some fun ideas to share from my friends! Cynthia, over at FeedingBig is sharing her tasty (and healthy) recipe for Watermelon Pizza! This would make another fantastic side dish for an Independence Day party! 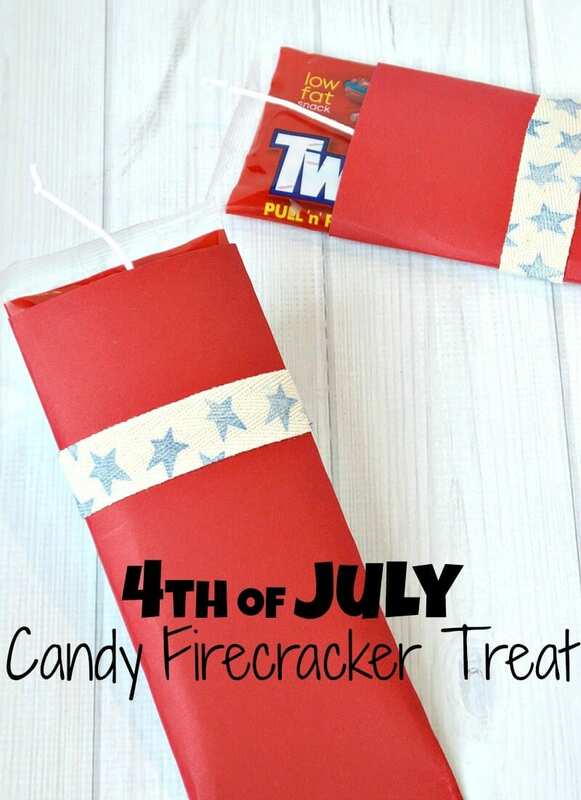 If you have kids you’re wanting to make special treats for, my friend Susan at Organized31 is sharing these super cute 4th of July firecracker treats, along with other 4th of July Treats for Kids! And to keep your kiddos entertained, my friend Corinne at WondermomWannabe is sharing her great ideas for 4th of July party activities! And while you’re outside eating delicious food and doing fun activities, don’t forget your homemade bug spray! I wish you a very happy, yummy and festive 4th of July! I love decorating for the 4th of July as the colors are just so fun! Looks like a perfect recipe for a party. Looks delicious and almost too pretty to eat. Perfect for these hot days here in Florida. All of these festive ideas will make the 4th so much fun! I can’t wait to try this dip recipe with my family! I love the sound of that dipping sauce! And the Twizzler firecrackers are great! What an easy, yet yummy recipe. Can’t wait to try it on 4th of July! Thanks for sharing it!